EghtesadOnline: Tehran stocks rose solidly on Sunday, recording another all time high for the equity market and topping off a series of back-to-back records that has kept the market heated since summer. The new rally is a sign that investors remain sanguine about market prospects and the larger economy at the outset of autumn. The market's main index, TEDPIX, closed up 2.8% to reach 165, 057, 44 points. Sunday's growth surpassed that of Saturday which saw TEDPIX leap 2% on the last day of summer. A parade of positive developments has turned the equity market into a new darling of investors, most notably the rial's steep slide against the US dollar, the Central Bank of Iran's embracing of market-friendly policies in the currency market and similar measures by the Ministry of Industries, Mining and Trade to end price caps for minerals and base metals in Iran Mercantile Exchange which favored a small group of investors. On August 6, the CBI eased forex rules and allowed money exchange shops to resume work at free market rates as part of its latest rescue package intended to calm the highly volatile market, according to Financial Tribune. The policy was a complete reversal from the one adopted in April that said any currency trade outside the banking system would be tantamount to smuggling. The government also fixed the US dollar's exchange rate at 42,000 rials at the time and said currency demand for industries and trade would be met at this rate. The milestone shows that investors are mostly unfazed by a series of unsettling events that could potentially overshadow the markets. On Saturday gunmen sprayed a crowd with bullets in the southwestern city of Ahvaz, at a military parade in oil-rich Khuzestan Province. Members of the elite Revolutionary Guards and soldiers from the country’s army, as well as civilians, including children, were among the victims of the terrorist ambush. Islamic State, the infamous terror outfit and an Arab nationalist separatist group, called the Patriotic Arab Democratic Movement in Ahwaz, both claimed responsibility for the attack. On Sunday the rumor mill had it that the Industries Minister Mohammad Shariatmadari had resigned. The government's official website however dismissed the news as "false" and state TV quoted a ministry public relations official as saying that they could "neither confirm nor deny" the reports. Investor sentiment remains positive as Washington is pressing other countries to zero out their imports of Iranian oil by Nov. 4, when sanctions related to Iran’s energy sector kick back. Iranian oil exports have plunged by 35% since April, the month before Trump withdrew from the landmark Iran nuclear deal. A survey by the stocks analytical website Donyae Bourse of experts shows that 55% of the respondents believe stocks will be bullish in the week ahead. These experts mentioned the surging foreign exchange rates and the rising inflation as main factors behind the expected rally as reflected in the listed companies' growing profits. Experts say regardless of the fact that price corrections could be in pipeline for some stocks in the short run, they will spike on the back of the two mentioned factors, especially if the government continues its crackdown on rent-seeking behavior. But 30% of the experts polled said that worries emanating from the imminent reomposition of the second round of US sanctions targeting Iran's energy sector would blunt investors' enthusiasm, resulting in a less dynamic stock market. A minority 15% of the analysts voiced more caution, saying that a combination of sanctions, Donald Trump chairing a special UN Security Council meeting on Iran and the rising trade escalation between the US and China will further exert pressure on stocks to prompt a wave of selling. 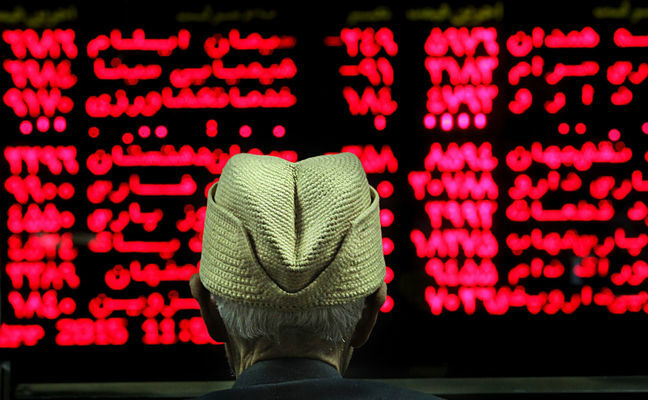 An analysis by the Persian newspaper Donya-e-Eqtesad shows that the stock market's return on investment during this summer was 47.5%, bringing the total ROU since the beginning of the financial year in March to more than 66%. But the stocks' return still pales in comparison with the currency and gold markets. The US dollar gained 93.7% against the rial and the benchmark Bahar Azadi gold coin brought a hefty return of 74.6% to investors during the summer. The monetary market came last, with long-term bank deposits yielding a real interest of 3.75% (considering the official deposit rate of 15 %.) Since the year's start, currency market has had a return of 197%, making it the big apple among all markets. On Sunday the US dollar began a fresh rally and was traded for 150,000 rials on the open market. The gold coin was up 2.69% and fetched 46.21 million rials, according to the Tehran Gold and Jewelry Union's website. Tehran Stock Exchange’s main index gained 4,533.88 points or 2.82% on Sunday to end trading at 165,072.1. About 4.8 billion shares valued at $99.60 million changed hands at TSE for the day. Zagros Pharmed Pars Co. was the biggest winner as its shares went up 64% to 7,621 rials per share. Mahram Company incurred the biggest loss among all TSE-listed companies and went down 4.92% to 31,195 rials per share. Persian Gulf Petrochemical Industries Company gave the biggest boost to the benchmark index, followed by Golgohar Mining and Industrial Complex, and Mobile Telecommunication Company of Iran. Saipa Group was the biggest laggard behind the benchmark's fall, followed by Iran Khodro Group, and Khorasan Steel Co. The Price Index gained 1,325.14 points to close at 48,245.2. The First Market Index was up 3,095.21 points to post 121,621.2. The Second Market Index added 10,211.58 points to reach 328,706.6. The Industry Index increased by 4,161.71 points to register 150,425.7. The Free Float Index was up 4,288.99 points to hit 175,910.23. The TSE 30 went up 200.85 point to settle at 7,867.9 and the TSE 50 ended 195.71 points higher to finish at 7,067.9. Iran Fara Bourse’s main index IFX gained 23.34 points or 1.24% to close Sunday trade at 1,902.02. About 877.08 million securities valued at $53.25 million were traded at the over-the-counter exchange for the day. Dey Bank had the highest number of traded shares as 76.12 million of its shares changed hands. Iran Cultural Heritage and Tourism Investment Group Company registered the highest trade value as $2.59 million worth of its shares were traded. Kowsar Insurance, Iran Cultural Heritage and Tourism Investment Group Company, and Kish Parsian E-commerce Co. registered the highest value increase. Tadbirgaran-e Fars and Khuzestan, Khazar Sea Shipping Lines Co., and Shahr-e-Kord Zagros Meat & Dairy Co. suffered the biggest decline. Esfahan Steel Company, Zagros Petrochemical Co., and Lavan Oil Refining Company had the most positive impact on IFX.